This is the Teaching with Aunty lesson for 'Food Gathering: Year 6'. The visual stimulus for this lesson is the 'Animal Name Origins Map' interactive. This is the Teaching with Aunty lesson for 'Food Gathering: Year 5'. 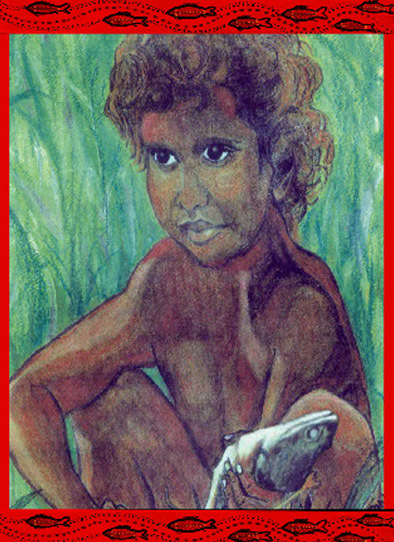 The visual stimulus for this lesson is the 'My Home in Kakadu' video. This is the Teaching with Aunty lesson for 'Food Gathering- Year 4'. 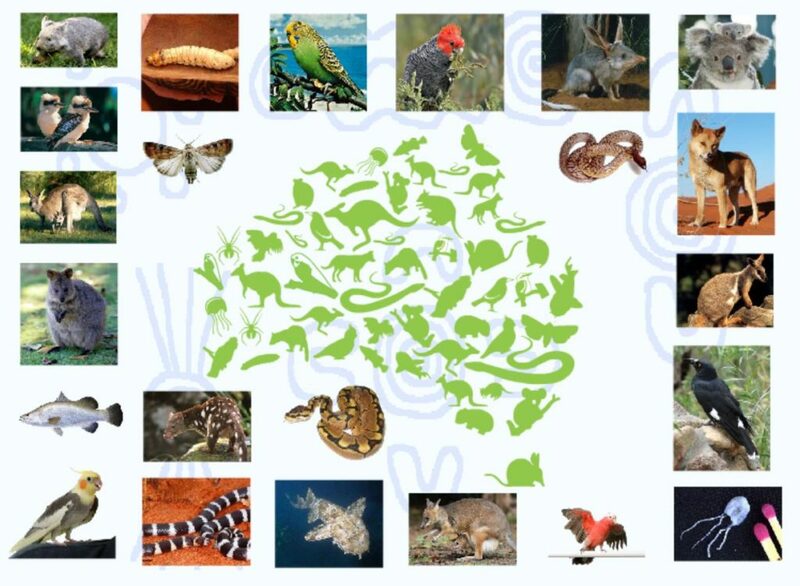 The visual stimulus for this lesson is the 'Animal Name Origins Map' interactive. This is the Teaching with Aunty lesson for ‘Food Gathering: Year 3’. The visual stimulus for this lesson is the ‘My Home in Kakadu’ video. This is the Teaching with Aunty lesson for 'Food Gathering- Year 2'. The visual stimulus for this lesson is the 'Barramundi for Brekkie' eBook. 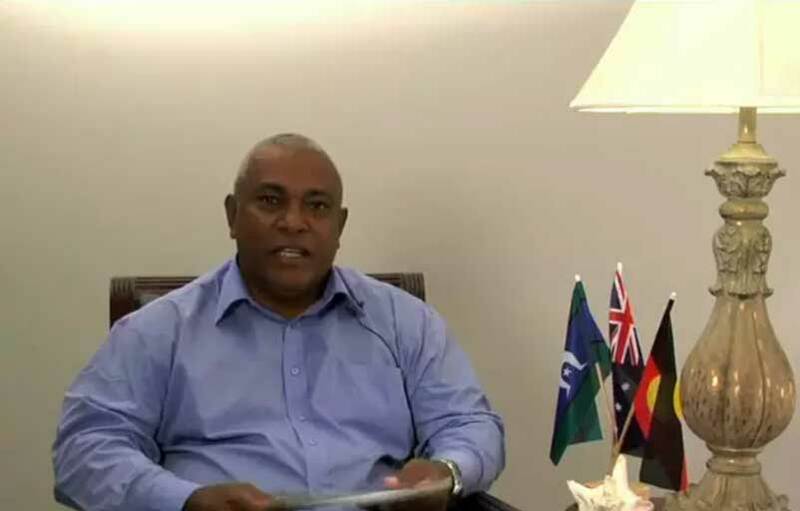 This is the Teaching with Aunty unit for 'Food Gathering- Year 1'. 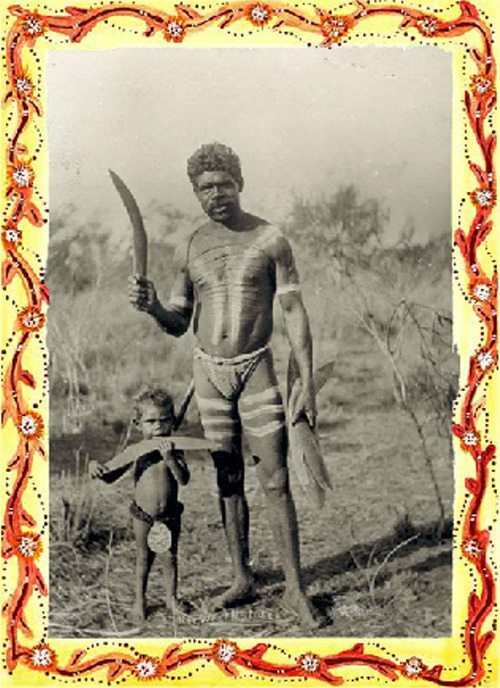 The visual stimulus for this unit is the 'Traditional Aboriginal Tools' eBook. This is the Teaching With Aunty lesson for 'Food Gathering: Foundation'. 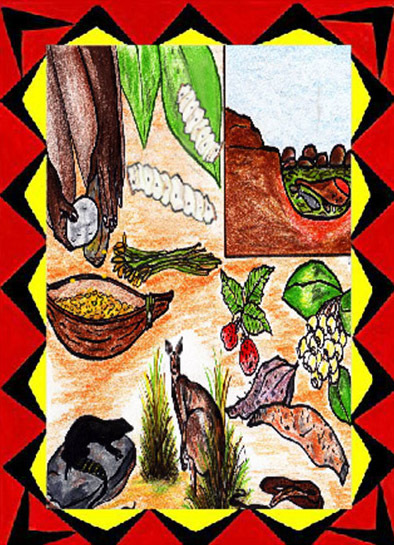 The visual stimulus for this lesson is the 'Bush Food Delight' eBook.